In recent years, China is in a stage of accelerating industrialization and urbanization, and the rigid demand for metal resources will continue; the national ecological civilization construction, the “One Belt and One Road” initiative and the “made in China 2025″ strategy are advancing in depth, and the development of the recycling nonferrous metals industry will usher in new development opportunities. At the same time, the new period of economic development and the hard constraint of green ecology also pose new challenges to the industrial development, that is necessary to accelerate the transformation of the resource utilization mode; taking the conservation and comprehensive utilization of metal resources as the important focus, comprehensively improve the comprehensive utilization and coordinated disposal of renewable resources; accelerate the introduction of modern, automated and intelligent technology and equipment, improve the scientific and refined level of sorting and processing, and implement the principle of “Lucid waters and lush mountains are invaluable assets” and the policy of “Give high priority to conserving resources and green development” in the 19th NCCPC report. 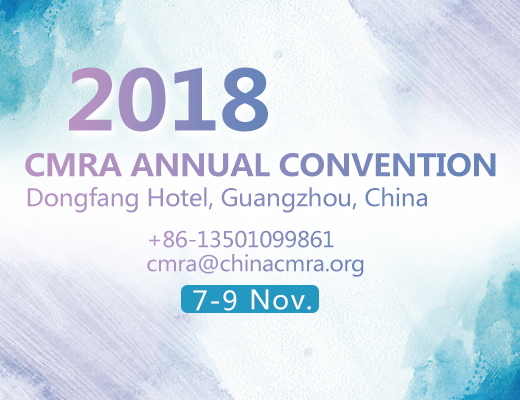 2018 CMRA Annual Convention (Secondary Metal International Conference & Exhibition Trade Fair) that hosted by China Nonferrous Metals Industry Association (CNIA); and organized by China Nonferrous Metals Industry Association Recycling Metal Branch (CMRA) is going to be held at Dongfang Hotel in Guangzhou from 7-9th November. Under the theme of “new start, new progress and new development”, more than 1,000 guests from domestic and foreign famous enterprises, industry experts, industry organizations and research institutions are inviting to the convention that jointly to discuss the way of sustainable development of industrial innovation, environmental protection, intelligence, green and others. The conference: the keynote report will gather government executives, industry giants and industry organization to interpret policies and grasp development trends; the seminar will discuss frontier issues of industrial cooperation and green development. Famous enterprises and decision-makers will be invited to share the latest corporate strategies, industrial trends and policies, and give insightful opinions on the theme. The exhibition trade fair is dedicated to build a one-stop service platform for the recycling metals industrial chain, in addition to inviting representative enterprises in related fields such as trade, recycling, processing, utilization, technology and equipment, the environmental protection, material resistance, additives and solvents enterprises will be invited as well; setting up special promotion, and supply and demand information release etc. that provide a comprehensive exhibition platform for enterprises.